This bundle has a full length sleeves T-shirt, beanie and a pants. 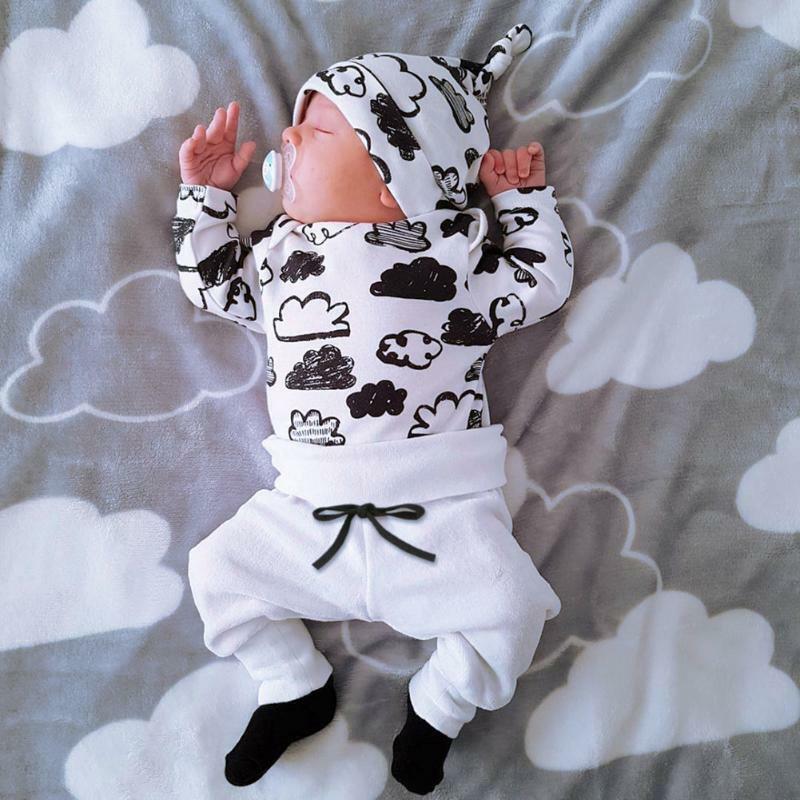 The T-shirt and the beanie has an adorable clouds pattern, while pants has a string adjustable for your prince or princess' comfort. This bundle is made with stretchable and breathable ensuring you the best quality.